Texas Orthopedics: Can Collagen Improve Joint Pain? 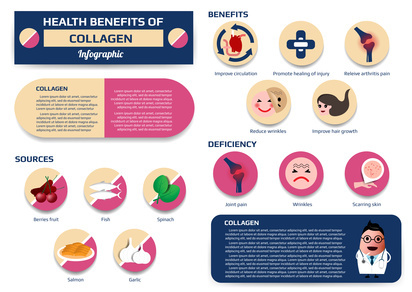 Collagen is touted as a miracle with “medicinal qualities” for a number of health and beauty issues including wrinkles and sagging skin, thinning hair, difficulty with digestion, and even common joint pain associated with arthritis or other inflammatory conditions. Our own bodies produce collagen, but as we age, production decreases and robs skin of plumpness and elasticity. This translates to brittle hair and sore and aching joints because the spongy cartilage between our bones weakens. In a recent study that examined the effects of collagen hydrolysate on fitness-related joint pain, researchers found that of the 147 participants who took the supplement (versus those who were given just a placebo), all reported less joint pain at rest, and while walking, standing, and lifting/carrying objects. These results show there could be future possibilities for using collagen to treat other joint pain like that related to arthritis and its many different forms. However, experts urge that more research on collagen therapy is still needed. If you do experience severe or consistent joint pain, please contact us for an appointment with one of our orthopedic specialists to discuss other treatment options.